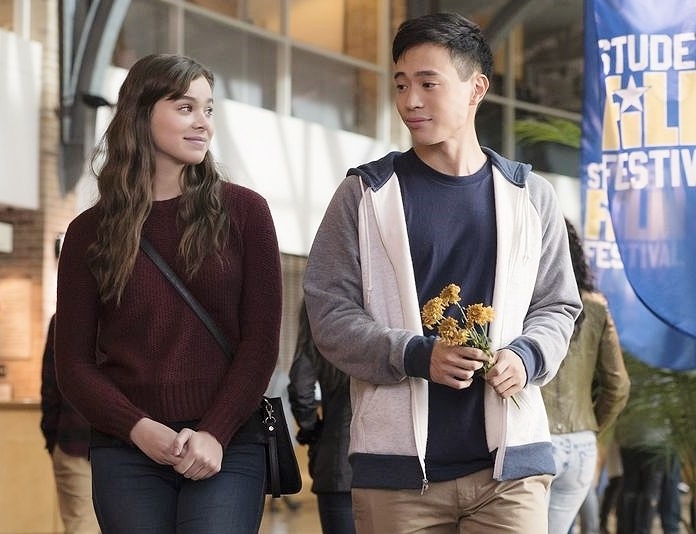 INTO THE NEXT STAGE: Does the Shy Asian Guy Get the Girl in ‘Edge of Seventeen’? 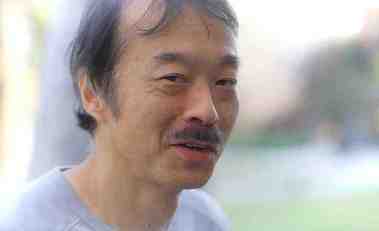 You are at:Home»English»Columnists»INTO THE NEXT STAGE: Does the Shy Asian Guy Get the Girl in ‘Edge of Seventeen’? Twenty years ago, if a young Asian male had a romantic relationship with a woman on television, it would’ve caught your attention. Because usually, only Asian women were allowed to get romantic, and it was almost always with a white male. The message? Asian women are attractive, Asian men, not. Not even attractive to their own women. Thankfully, things have improved a lot since then. Two years ago, John Cho co-starred as Karen Gillan’s love interest in ABC’s “Selfie.” On the network’s “Neighbors,” teenager Reggie Jackson (Tim Jo) always seemed to be in a love triangle with two different sets of white girls. Glenn Rhee (Steven Yuen) hooked up with Maggie (Lauren Cohan) in AMC’s “The Walking Dead.” On the CW’s “Crazy Ex-Girlfriend,” Rebecca Bunch (Rachel Bloom) gave up a legal career in New York to follow high school crush Josh Chan (Vincent Rodriguez III) to California, trying to win him back. On “Hawaii Five-O,” Chin Ho (Daniel Dae Kim) was last seen romancing the beautiful Abby Dunn (Julie Benz). On ABC’s “Designated Survivor,” a white reporter is now cozying up to the president’s press secretary (Kal Penn). Steinfeld was nominated for an Oscar for best supporting actress for 2010’s “True Grit,” which she shot when she was just 13. Though I heard she was “Asian American,” according to Wikipedia, her grandfather was half black/half Filipino, so she’s just 1/8 of each. In this indie film written and directed by Kelly Fremon Craig, she plays 17-year-old Nadine Byrd, who’s believed the world was against her from a young age when she was bullied at school. Nadine’s long resented older brother/popular jock Darian, who’s always been Mom’s favorite. So when he and Krista (her only friend) become a couple, Nadine hits the roof, ends their friendship, and sinks into despair. Will she choose bad boy Nick or Erwin? If you don’t want to know how this ends, skip the next two paragraphs. Nadine attends a screening of Erwin’s animated film, loves it, and realizes it’s about her. But he denies it. For once, she’s the one who feels awkward. Then Erwin admits he was lying. He just appreciated that for once, the shoe was on the other foot. “You’re so f*ckin’ great,” she tells him. “You’re the best person I know.” It’s implied that they’ll be together. And the movie ends. Yay! For once, in a motion picture, the Asian guy gets the girl. Unfortunately, despite the great reviews (95 percent approval on RottenTomatoes.com), “Edge of Seventeen” came in seventh at the box office last weekend with a disappointing take of $4.8 million (the budget was $9 million, meaning the film company may not make any money unless it maintains steady interest). But I fell in love with this movie, and it stayed with me long after I left the theater. I hope you’ll support it. It deals with teenage angst in a realistic way. And although there are many hilarious scenes, there are also deep soul-searching ones as well. Szeto was 30 when he shot this opposite an 18-year-old Steinfeld (who strangely, looks distractingly like Jimmy Fallon for most of the movie), and he looked a bit too old to be sitting in that high school classroom. But he does a good job here. Some cynics may scoff, asserting that he plays a stereotypical nerdy Asian guy. I’d argue that Erwin gives hope to many awkward but sweet boys of any race who usually get overlooked by the popular girls but who have a lot to offer if only given a chance. Szeto told yomyomf.com that writer/director Craig specifically wrote Erwin as Korean American. Her best friends while growing up were Korean and Filipino, and she wanted to reflect real life diversity in her film. 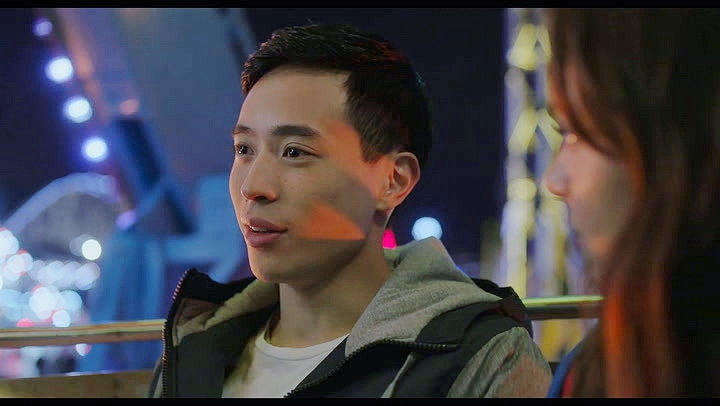 Whereas it’s always a pleasant surprise to hear that filmmakers imagined a role as white but then cast an Asian American because they were knocked out by the actor’s audition, it’s also gratifying when creators write an ethnic character because they can explore racial elements, as Craig did briefly in the Ferris wheel scene. Do Your Duty Department: It’s rare that the Pacific Islander community gets a chance to shine in film, and Disney has offered the big-budgeted “Moana” as a tribute this Thanksgiving weekend. I don’t want to repeat things I said in the MANAA press release but it focuses on the 16-year-old title character, who tries to save her starving people by venturing out beyond her island to seek the demigod Maui (Dwayne “The Rock” Johnson). It’s important that we support ethnic-based movies like this. If it fails, Hollywood will use it as an excuse not to greenlight other films focusing on minorities.